The Atari 2700 (also known the Atari Remote Control VCS) is a prototype video game console that was developed by Atari, Inc. to be a wirelessly controlled version of Atari's popular Atari 2600 system. Intended for release in 1981, the 2700 was one of several planned follow-ups to the 2600, but the system was never put into full production. While It is unclear how many of these systems exist, former Atari employee Dan Kramer has stated that at least 12 consoles were made, plus extra controllers. 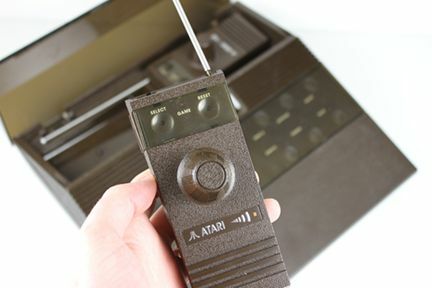 The 2700 was fully compatible with the Atari 2600 system and intended to use that systems games and accessories. The 2700's new features over the 2600 included wireless controllers featuring a combination of a joystick and paddle, touch sensitive switches, and a streamlined wedge-shaped case. 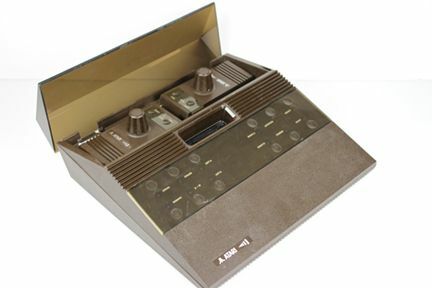 Internally, the product was also called the "RC Stella", where "RC" referred to Radio Control and "Stella" was the internal Atari codename for the 2600. Never knew about this, very cool! It is indeed neat and Atari sure was ahead of the game with some of the stuff they did with this console. It's too bad they never actually released it. But i may use bluetooth controllers. Would have loved to have one of the those. 2600 joysticks really suffered from cable length, I've gotta believe all that radiation from setting directly in front of a floor model RCA couldn't have been good for me. If only this had existed back then. It's funny how the regulations of the time forced a heavy shield around the cart stot of the VCS to prevent an theoretical amount of TVi yet, radio controls and antennas the size of fencing rapiers were allowed! If you make it NTSC compatible, I'd get one! Does anyone know how big the housing was? Like 5200 or more like 7800 from size. I personally believe it is in 5200 size. No idea about size. It may indeed be as large as the 5200. The folks from Atari Museum may know. after review of some picture it seems it is identical to the 5200 size. This is not bad as I may have one 5200 chassis (due to heavily broken system and non-working mainboard) left to build the 2700 protyp out of it. But after the concept study the next item will be the gray 2600 from Tramiel decade, then the bonny prototyp.Hopefully the bluetooth mod is completed until then so perfect to build the last prototyp: the Atari 2700. Wonder how durable the controllers would have been? For the time period, it seems like replacements would have been expensive. Given that they have an exclusive chip, I have no doubt they would have been expensive to replace. They are not even fixable now based on what is said on the video. Ouch! That is a collectible to look and do not touch. Apparently fewer than 10 were made, so the go for a lot of money.